A fantastic line-up of incredible women has been announced as nominees for the Women Acknowledging Women Award. Hana Assafiri, an activist in honouring the contributions of women in our community said she is proud to be part of enabling and celebrating an amazing Australia. “Congratulations to these amazing women; one after another in the face of much hostility and aggression, they embody the example of humility intelligence compassion. True champions of social harmony and humanity. Thank you” said Hana Assafiri. Gulhan is on the advisory board for Ethnic Communities Council Victoria’s Gambling Harm project. Meet Gulhan Eryegit Yoldas is a remarkable Muslim woman, dedicated to serving the community. Gulhan is on the advisory board for Ethnic Communities Council Victoria’s Gambling Harm project. 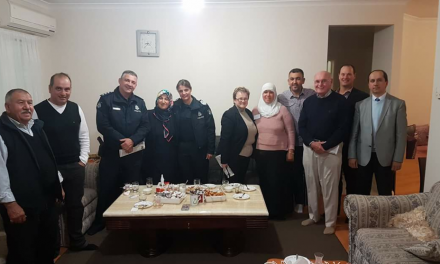 She’s an active member of Whittlesea Interfaith Network and for her day job she works as the Community Engagement Facilitator for Al-Siraat College in Melbourne’s outer north. Gulhan has a regular column in the Australasian Muslim Times NewspapeR and has a robust history of advocacy for Interfaith dialogue & social cohesion and building resilient, compassionate communities. She volunteers regularly for Department of Human Services’ Cultural Awareness program sharing her story as a Muslim woman growing up in Melbourne. This year in August, Gulhan was a speaker on behalf of ECCV at the Gambling Harm Conference in Geelong sharing her reflections on Gambling Harm and the solution of reconnecting with faith to build resilience against any current social epidemic. 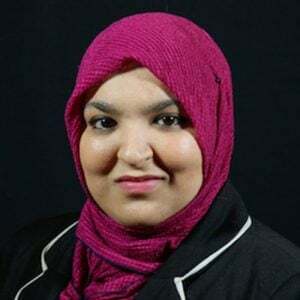 She is passionate about empowering and developing Muslim youth, especially girls, as spokespeople for their communities and has facilitated several platforms for young Muslim women to be mentored by women in leadership. This includes the Walk With the Mayor program where senior girls from Al Siraat College had the opportunity to shadow City of Whittlesea’s Mayor Kris Pavlidis. Gulhan credits her supportive mothers and husband for being able to do what she does and is blessed with three daughters. Sareh Sal. 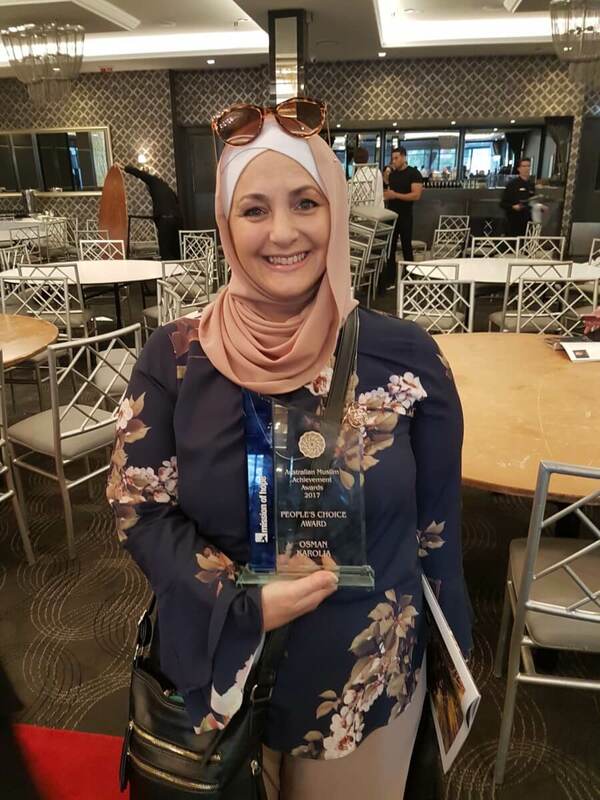 Sareh is an experienced educator who wants to empower her students, especially females, with the knowledge of what it means to be a Muslim female in Australia. 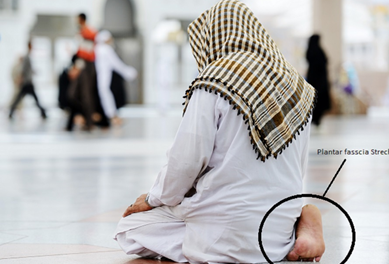 “Meet Sareh Sal. 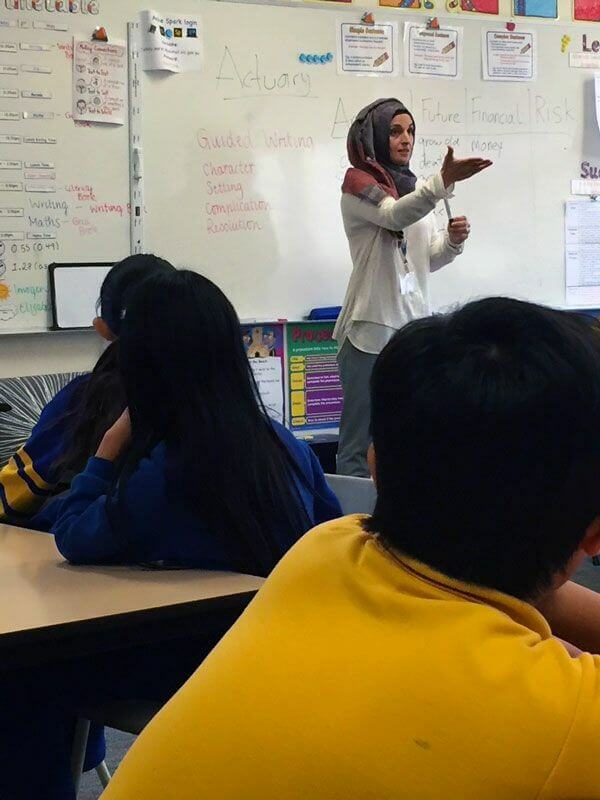 Sareh is an experienced educator who wants to empower her students, especially females, with the knowledge of what it means to be a Muslim female in Australia. 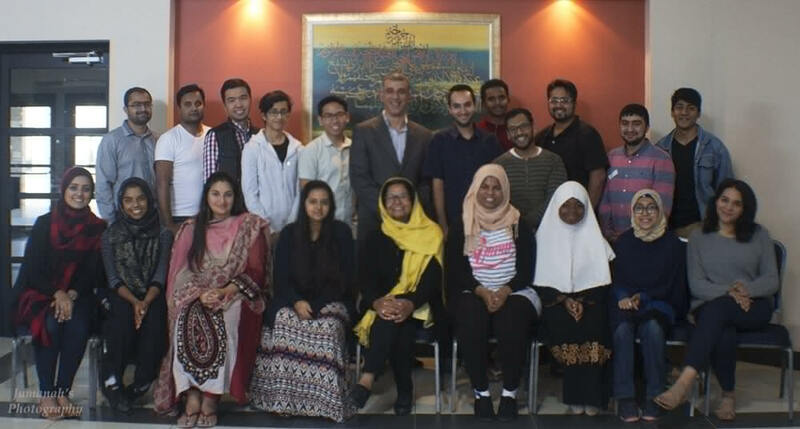 She wants her students to use their faith to articulate and exercise their rights, and to become more confident in their religious identity as Australian Muslims. 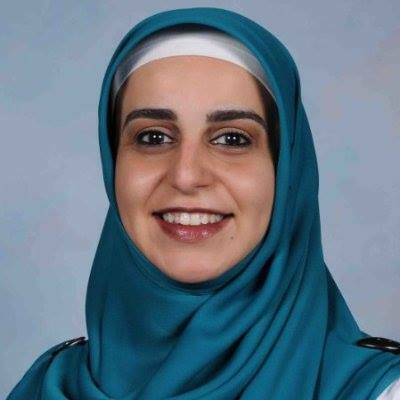 She has been in the education industry for over 17 years with varying roles: most recently, she was a Principal of an Islamic School in the South Eastern suburbs, and is currently an Education Advisor to an Islamic School in the Western suburbs. While working full time Sareh completed a Master of Arts majoring in Islamic Studies, and then enrolled to study a Diploma of Counselling. During whatever is left of her spare time, Sareh not only volunteers and raises funds for various charities both locally and internationally, she also encourages other women to get involved in giving back to those less fortunate. 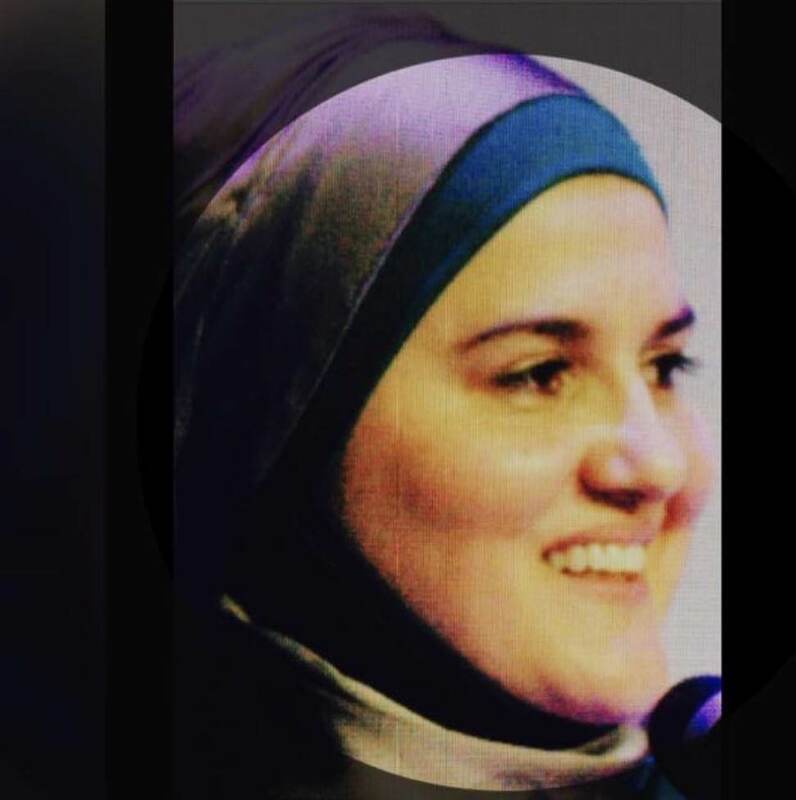 To this effect, she co-founded the charity group Australian Muslim Aid and Relief Association (AMARA), works with Community Care Network, takes part in in Speed Date a Muslim regularly, and is a strong advocate for social justice and youth empowerment. Rose works at an Islamic School as a School Counsellor/Welfare Coordinator where she positively impacts the lives of hundreds of young Muslim people. “Meet Rose Bogarts. Rose works at an Islamic School as a School Counsellor/Welfare Coordinator where she positively impacts the lives of hundreds of young Muslim people. She also volunteers at Benevolence Australia, assisting converts who have embraced the Islamic faith, providing advice and support as they transition both spiritually and practically. Rose volunteers at the Victoria Police Academy for the Community Encounters program in which new recruits and PSOs (Protective Service Officers) are trained to have better community awareness and better understanding of Islam and Muslims; she received the highest Command Commendation award for this program. She was also part of a new pilot with Vic Police Lead by Senior Constable Maha Sukkar Community liaison officer, called “Tell someone”, which entails educating students on rights and legality on underage/forced marriages. She is an ambassador of white ribbon with the Intouch organisation that assists and empowers women affected with family violence. Rose is a volunteer for “Speed date a Muslim” at the Moroccan Soup Bar, an initiative by Hana Assafiri, which is a forum for non-Muslims to ask Muslim women about their faith. Rose is a Director of “Muslim Mental Health Professionals” for schools, a first of its kind program which entails sharing information and delivering programs to Muslim schools throughout Victoria. 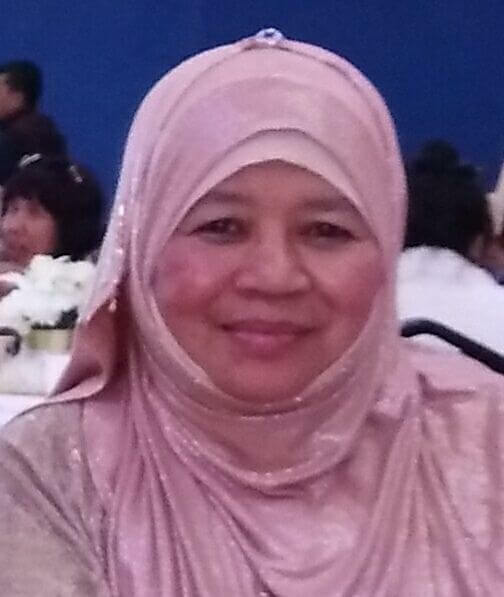 Currently, Naima is an educator at the Pillars of Guidance Community Centre (PGCC) – Al Miraaj Institute whereby she teaches Tajweed and delivers talks with her main focus on spiritual development and tazkiyyah (purification of the soul). “Meet Naima Usman. Naima received her B.A. Degree in Journalism and Mass Communications from the American University of Sharjah, UAE. During the pursuit of her education, Naima completed various short courses in Tafseer, Tajweed, Tazkiyyat an-Nafs and Da’wah training and conducted Islamic talks on various topics and seminars amongst many university students of all backgrounds. Currently, Naima is an educator at the Pillars of Guidance Community Centre (PGCC) – Al Miraaj Institute whereby she teaches Tajweed and delivers talks with her main focus on spiritual development and tazkiyyah (purification of the soul). She is also currently head of the PGCC Sisters Committee. 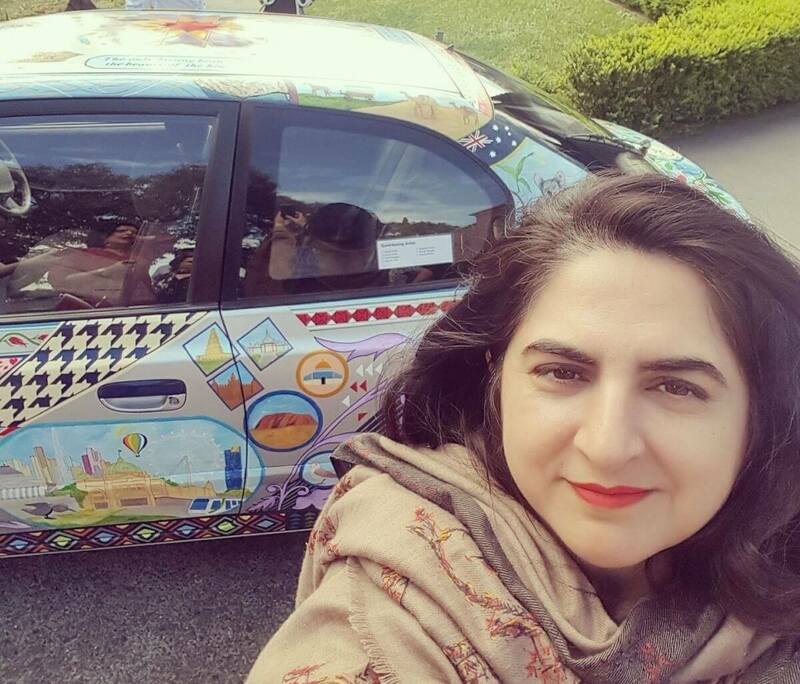 “Ayesha is the founder of SalamFest, and works with a crew of dedicated volunteers to organise this yearly festival seeking to celebrate the contributions of Muslims in the fields of arts and culture. In 2017, Salamfest occurred at the State Library of Victoria and saw hundreds of visitors experience calligraphy workshops, Middle Eastern cuisine, spoken word poetry, pottery workshops, Sufi qawwalis and a myraid of other activities. Salamfest is poised to make its return later on this year and is no small undertaking. Ayesha’s ancestors first arrived in Australia in 1860. Her family is of Pakistani heritage and is in its seventh generation in Australia. She has a Masters in Computer Science from RMIT University and has taught at various universities. Ayesha is on the board of JCMA (Jewish Christian Muslim Association) and the chair of the women’s committee. Ayesha has served on the board of SAARC Chamber Women Entrepreneurs Council and as the Honorary Investment Consul for Pakistan in Melbourne. She has presented globally at various conferences and events including CHOGM Perth, WexNet and Education without Borders. She is an avid supporter of and volunteer for various causes including women’s empowerment, interfaith harmony, and empowerment of marginalised groups of the community. She gained a valuable insight into the traditions and practices of the Abrahamic faiths during her Catholic schooling. This inspired her ongoing support of interfaith initiatives. She works tirelessly to ensure that her community members feel supported and heard, whether its feeding the homeless or amplifying the voice of migrant women experiencing family violence. “Nisveta is Bosnian-born and Australian-raised and educated. 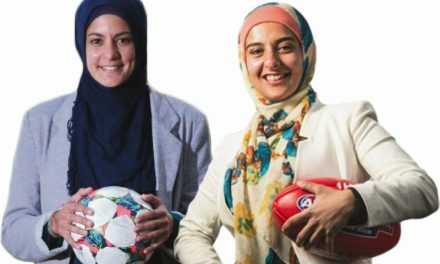 She has been working in the education industry since 2004 at an Islamic school in South-East Melbourne. 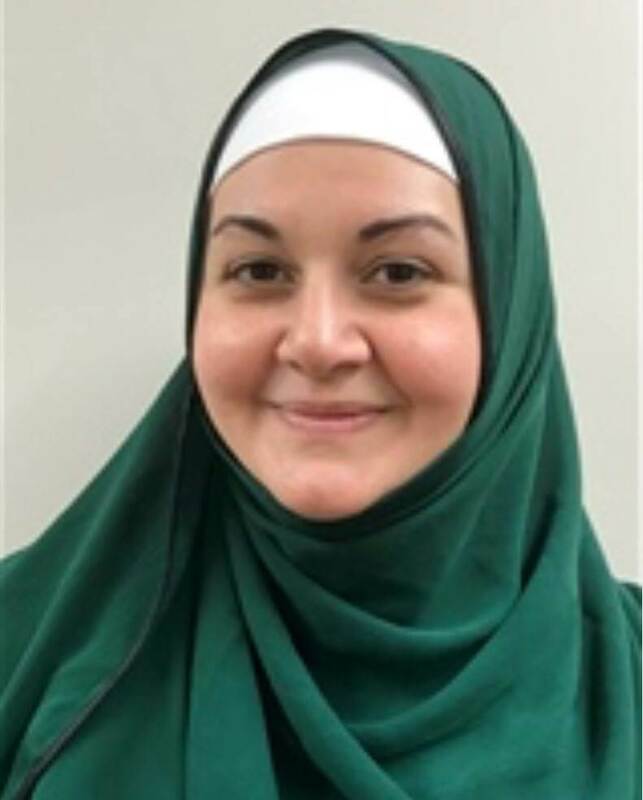 Currently, Nisveta holds a leadership position as the Head of Middle School at Minaret College, Springvale campus.Being an educator is considered a huge privilege and a major responsibility by Nisveta, who thrives on working with and positively influencing Australian Muslim youth. She believes that her work as a teacher is crucial in developing future leaders, made even more relevant by the fact that 65% of Victorian Muslims are under the age of 35, and hence classified in the youth category. “Meet Suhana Salim, a truly wonderful woman, who demonstrates great leadership for City of Melton community. Her next project is working with Melton Council to establish women’s only physical activities -particularly swimming and exercise. Suhana is also active in the Malay Australian community. She is a fantastic role model, especially for other women. She loves to share her culture with others, working towards growing a cohesive intercultural Australian society. Farheena is an Actuary and has worked for the Australian Government Actuary’s Office in Canberra before travelling to London and Leeds where she joined Bacon & Woodrow consulting actuaries. Farheena Ahmad has been nominated for her dedication and vision in wanting to make a difference to the educational standards of children in the community by changing the way Mathematics is perceived and instilling a love for this area through highlighting its relevance and developing a deep understanding. Farheena is an Actuary and has worked for the Australian Government Actuary’s Office in Canberra before travelling to London and Leeds where she joined Bacon & Woodrow consulting actuaries. Her work has ranged from designing and costing Employee Benefit schemes in the Australian public sector to UK pension schemes in the private sector. Farheena then joined the investment section of B & W in London working on investment management. Farheena has been nominated because not only is she an excellent professional in her field and a mother but she is a strong advocate for the importance of STEM learning. She believes that Mathematics is the foundation of all other major disciplines. Farheena is on a mission to dispel fear and dejection associated with learning Mathematics and is keen on changing perspectives one student at a time.